New York City’s Milk Bar, is renowned for many things, among them: Compost Cookies®, corn cookies, and, of course, Crack Pie®. Cheeky? Yes. Obsessive worthy? I’ve heard, yes. I’ve never been to Milk Bar, but now that they’ve branched out to Toronto, I feel like our next trip out east will feature a stop at the first Canadian Milk Bar. 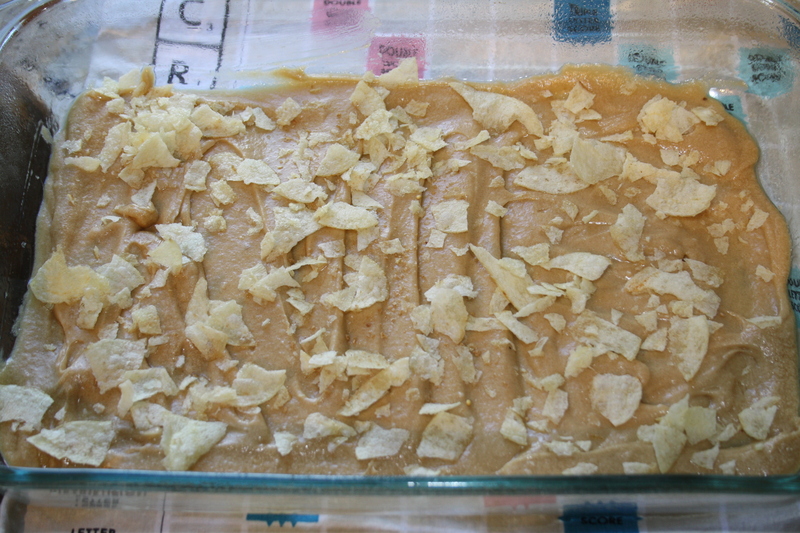 I’ve read about Crack Pie® before, on various blogs and when it featured in Bon Appetit’s September 2010 issue. Most recently, I binge-watched a PBS program on Netflix called The Mind of a Chef. PBS is pretty cool, and hosts David Chang, Sean Brock, and April Bloomfield are even cooler. On season 1 with David Chang, there’s a couple appearances by Christina Tosi. So, the bait was set, and when her most recent cookbook Milk Bar Life was released I scurried to the bookstore to pick up a copy. 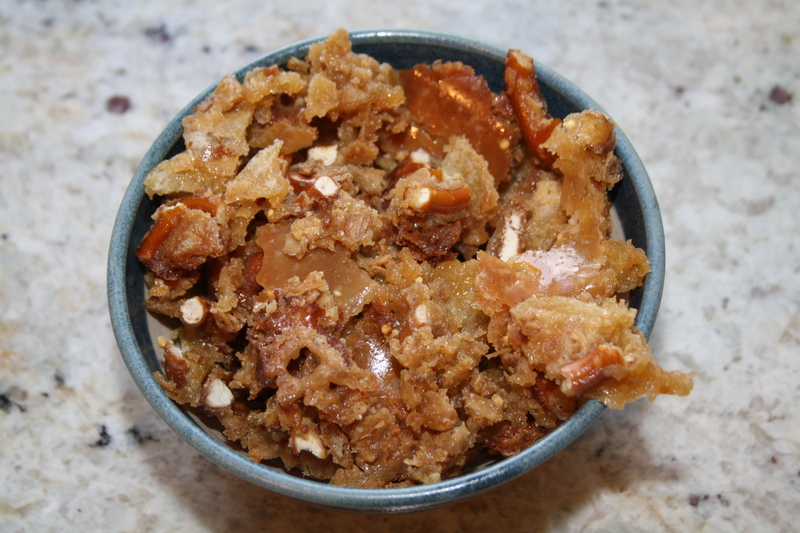 Crackle – the spawn of Crack Pie® and brittle – is basically candy. Fair warning: consume in moderation, this stuff is sweet and goes down pretty easily! I will definitely be making this for Halloween this year, and it would make a lovely sweet companion to savoury nibbles before a dinner party. 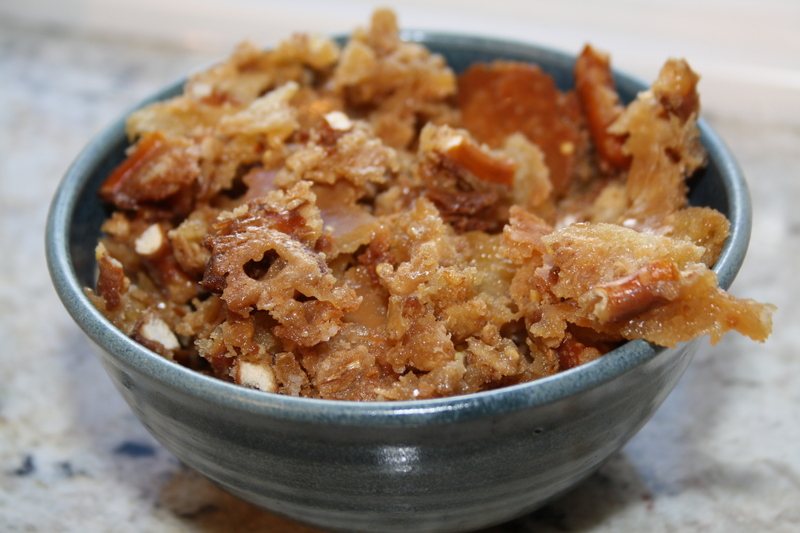 I made this batch for a flight to Hawaii (sugar in a confined space makes sense, right?). Envious seat mates ensued. The best part of Crackle? Pantry ingredients! I happened to have a little granola floating around my cupboards so that went in. 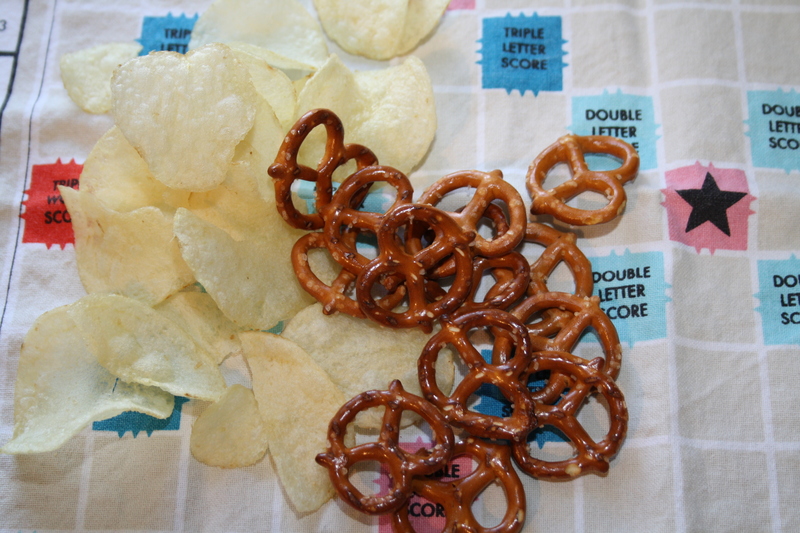 I’m a fan of the salty-sweet thing so I went for pretzels and plain chips. But really I would happily throw in any nuts, seeds, crackers, dried fruit, cereal, and the like. While Crackle is a treat, it’s a worthy one. You’ll feel about seven years old eating it, in the best way possible. You’ll most likely have most ingredients already, and it’s a breeze to whip up. I have an inkling kids would be wonderful sous chefs for this recipe. Scraping, sprinkling, and stirring are all important steps little hands can do. Next stop on my Milk Bar journey is certain to be Crackle’s mama, Crack Pie®. Preheat your oven to 350 degrees. Spray a 9 x 13 baking dish with nonstick spray. 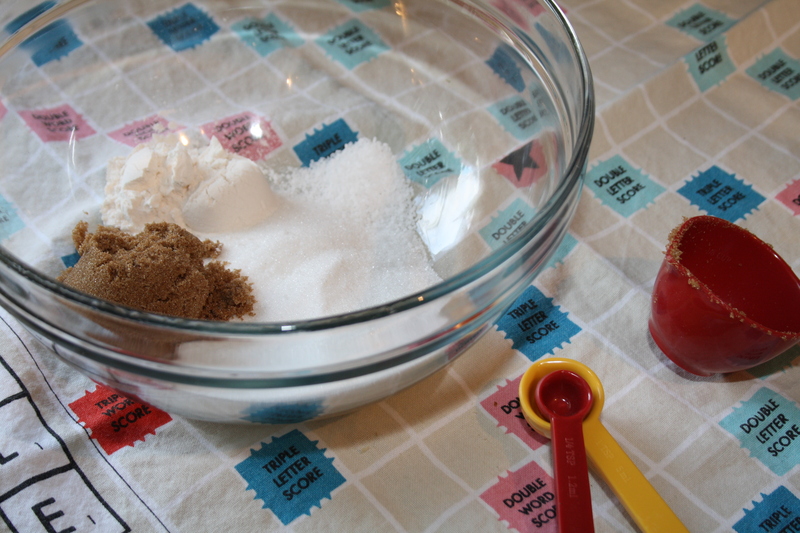 In a medium bowl, whisk together the sugar, brown sugar, flour, and salt. 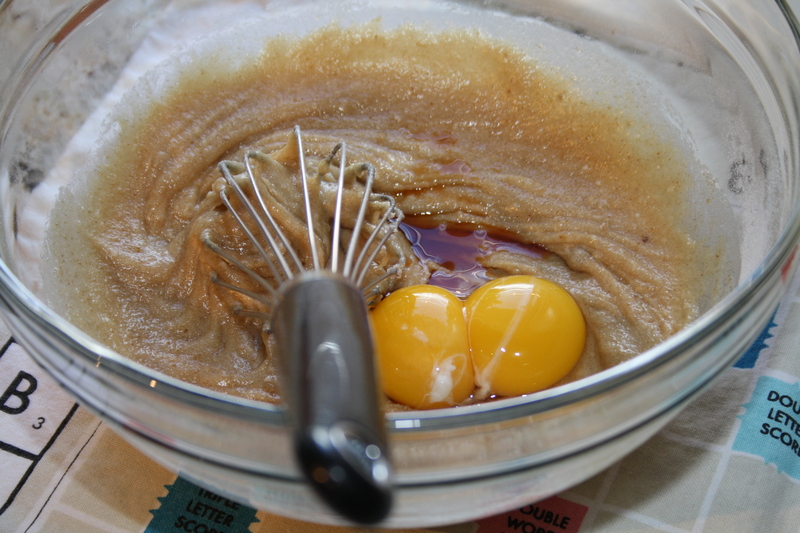 Add the butter, heavy cream, egg yolks, and vanilla, continuing to whisk until smooth. 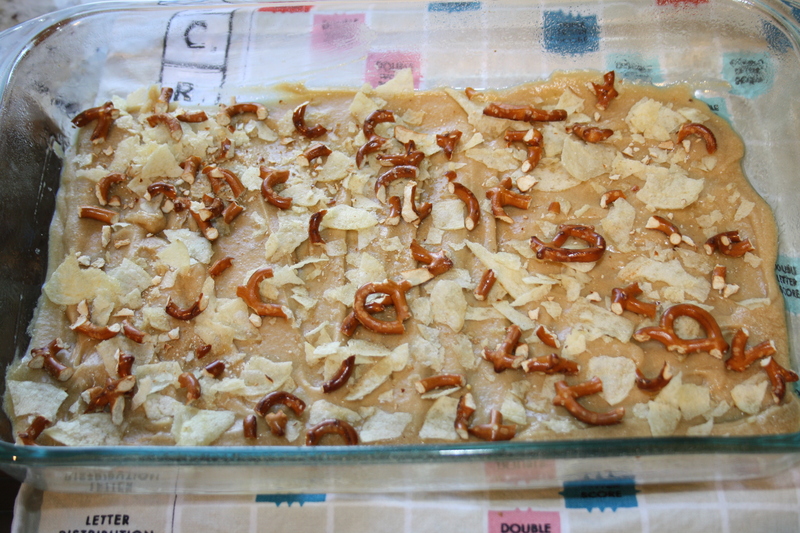 Pour and spread the mixture into your prepared baking dish, smoothing the top so there’s an even layer. 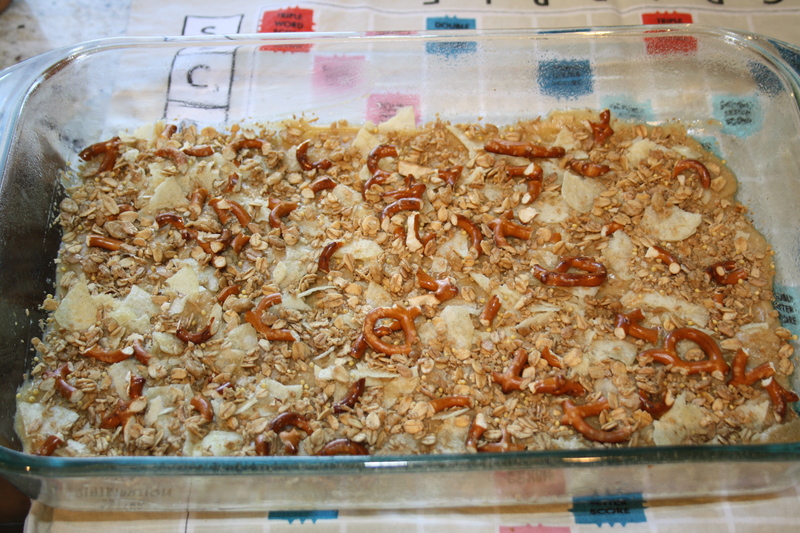 Crush and sprinkle your pantry items over the mixture.Bake for 15-20 minutes, until just-dark brown. Let cool completely in the pan. Remove the crackle and break into pieces. Try not to eat in one day.